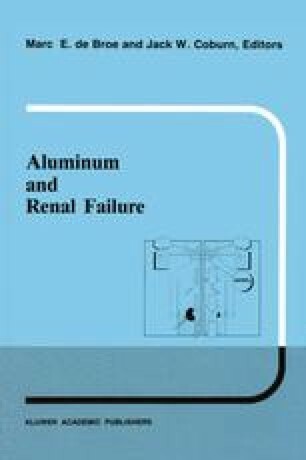 One consequence of the emergence and persistence of the aluminum toxicity syndrome among patients with chronic renal failure is a tremendous increase in the number of laboratories that determine aluminum levels in appropriate types of samples. In Great Britain there were only 5 or 6 such laboratories in 1980 but at least 30 were identified five years later. Similar trends undoubtedly took place in other countries.